Spring has been rather late in New England this year, but it seems that it finally has arrived. 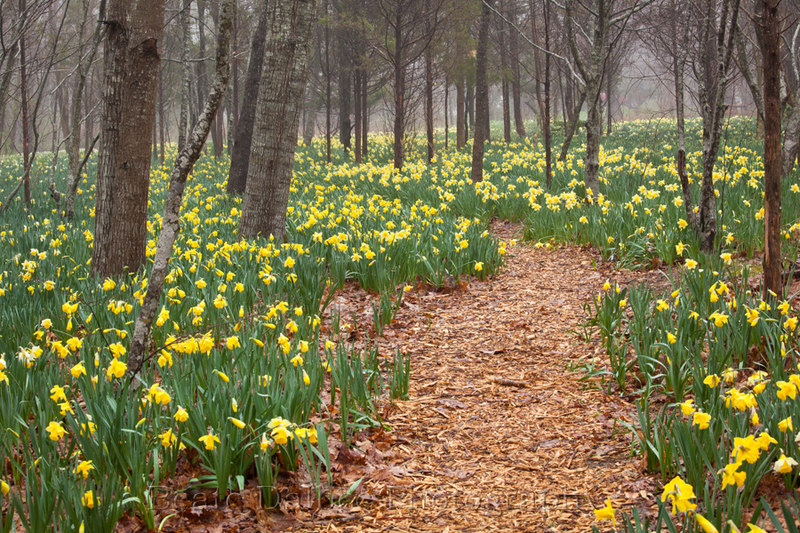 The proof – the daffodils are in bloom! 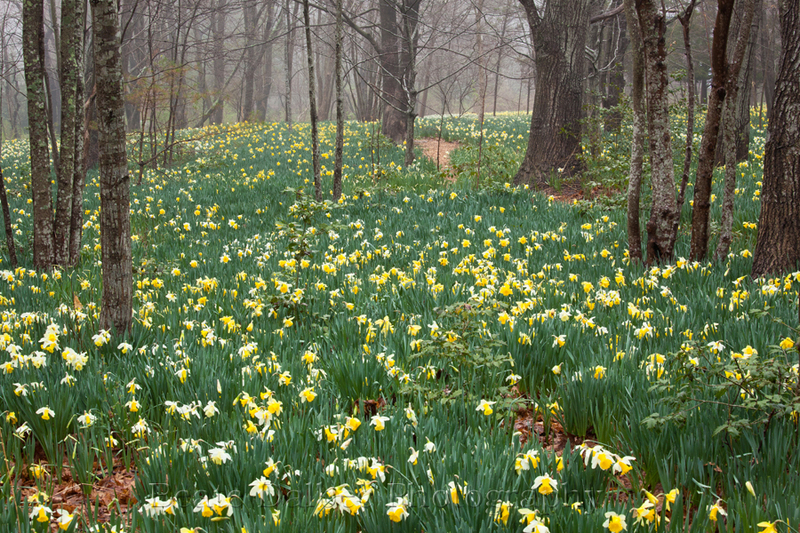 I had heard about this field of daffodils in a forest and was eager to visit it this year in time for the bloom. But the weather just did not want to cooperate lately. It either rained or there was a strong wind or a combination of the two. Easter morning I woke up to nice conditions. It was calm with a light cloud cover. I headed out in search for the daffodils. After a 10 minute walk down the trail I arrived at what must be the largest concentration of daffodils I have ever seen. And a lot of them are still not in bloom. It is quite the sight! I had about 20 minutes of photographing them before a breeze picked up. I am hoping to return in a few days when all of them are in full bloom. I was in a field of tulips on Saturday, Beate but this one in the forest is really magical. I really do hope you’ll go back and photograph them again! Thanks, Sabrina, me too! I just hope the weather will be a bit more cooperative. What a beautiful world we all live in, sometimes even in our own back yard that we take so much for granted.